If you plan on buying a cage for a single budgie (parakeet) you will need a 5500-6000 cubic inch cage. 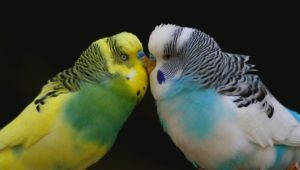 A cage for two budgies will need to have an internal volume of 9000-10000 cubic inches. And for three budgies a 11000-12000 cubic inch cage will suffice. If you plan on keeping more than three budgies, please refer to the budgie cage size calculator located above to calculate the required size. As you probably already know the most important thing to consider when selecting a cage for a budgie is the internal size of the cage. 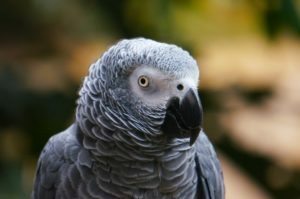 Even though budgies are a relatively small bird, they still need a larger cage than some people are lead to believe. 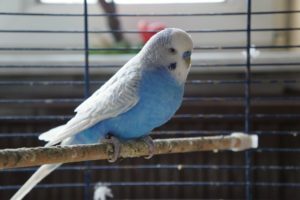 Getting a large enough cage for your budgie will go a long way towards providing them with a happy and stress free life. 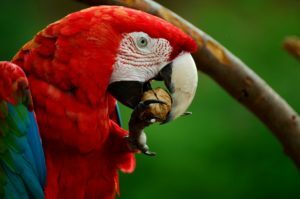 For the well being of your bird, getting a cage that allows your budgie to fly and move around freely is vital. This is especially true if you expect to leave your budgie in their cage for most of the day. 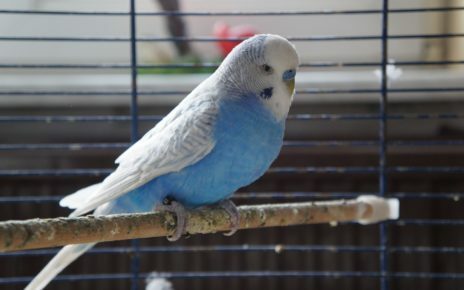 A good sized cage will allow a budgie to make two or more wing beats, so they can stretch their wings and fly. 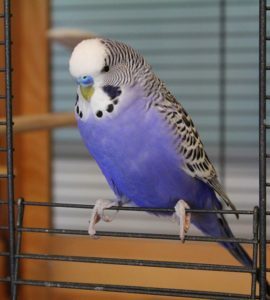 Giving a budgie a large enough cage will allow them to get some exercise, even if you are not at home. 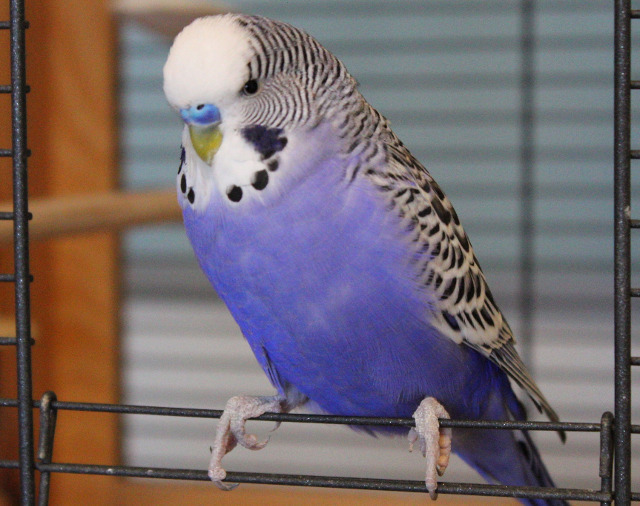 If on the other hand you plan to let your budgie outside of their cage for some exercise for two or more hours a day. Then in that case you might be able to get away with getting a slightly smaller cage. 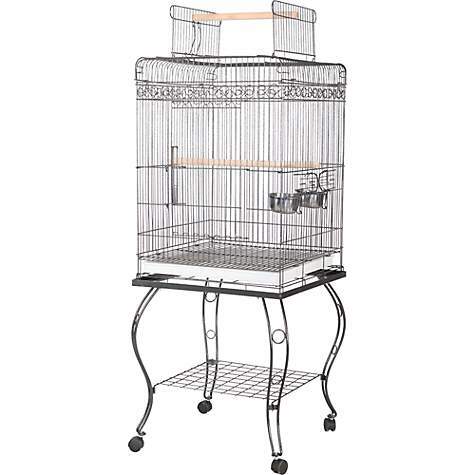 The Prevue Hendryx Signature Select Series Wrought Iron Bird Cage (Small) is the perfect size cage for two budgies. The internal dimensions of the cage are 18″ L X 18″ W 31.5″ H. At 10,206 cubic inches the volume of this cage more than meets the recommended 9,720 cubic inches required for two budgies. The cage comes with four stainless steel cups to hold food and water. The cage also comes with two solid wood perches, one of which can be mounted in the cage and the other on the play top. The sturdy steel pull out litter tray makes this cage a breeze to clean. And the flared out seed guard will help contain any messes your budgies may try to make. Budgies will also love having access to the spacious play top area when you let them outside of their cage. The play top has a large staircase and a perch. The perch is designed to hold two of the included bowls so the budgies can have access to food and water whether they are inside or outside of their cage. The Prevue Hendryx Signature Select Series cages are all very easy to move, since they come with built in casters. The casters make cleaning up inside and around the cage a more enjoyable experience. And if you desire the casters provide a convenient means to move the cage from room to room. 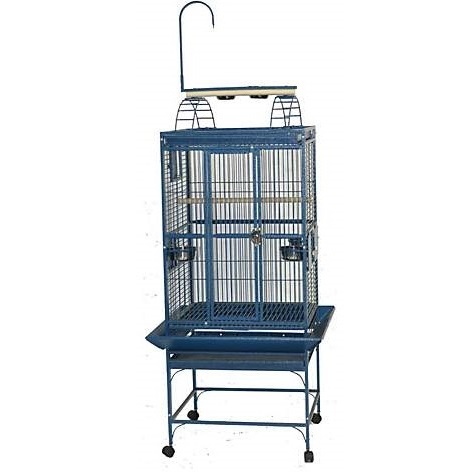 The A&E Cage Company 20″ X 20″ Play Top Bird Cage is a good sized cage for three budgies. The internal dimensions of this cage are 20″ L X 20″ W 30″ H. The 12,000 cubic inch volume of this cage meets the 11,500 cubic inch cage size that is recommended for three budgies. This cage comes with two stainless steel feeder cups that can be mounted in the cage by the two easy access feeder doors. 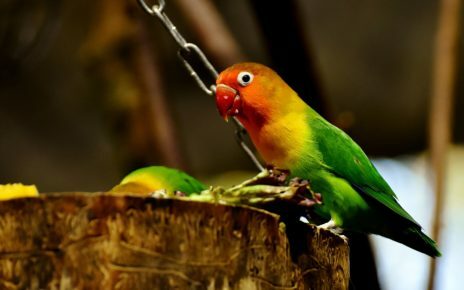 Two solid wood perches are also included, one perch can be mounted in the cage and the other is used to prop open the play top when it’s in use . This cage also has a very large front door so you can easily reach into the cage to access your birds or anything else inside their cage. The two large doors on top of the cage allow your budgies to move easily from inside the cage to the top of the cage. The spacious play top perch will easily hold three or more budgies. And when not in use the play top neatly folds back into the cage. The included stand comes with a storage shelf and built in casters. The casters will make it easy to move the cage if need be. And the storage shelf provides a nice location to store bird food and any other accessories to keep them out of the way. 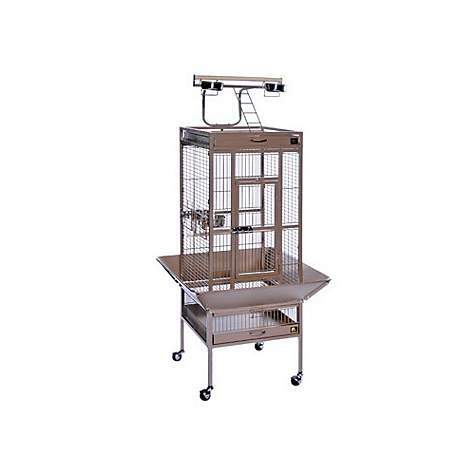 The A&E Cage Company 24″ X 22″ Play Top Bird Cage is the perfect size cage for keeping four budgies. 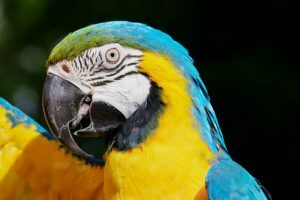 The internal dimensions of the cage are 24″ L X 22″ W 29″ H. At 15,312 cubic inches the volume of this cage almost exactly matches the 15,300 cubic inch cage size recommended to comfortably house four budgies. The cage comes with three stainless steel feeder cups, and it has three easy access swing out feeder doors. Two solid wood perches also come with this cage. One perch is made to be mounted in the cage, and the other perch is part of the play top support structure . The cage has a large floor to ceiling front door, which will provide you with a way to get quick access to anywhere in the cage. The play top on this cage consists of two ladders a perch and a toy hook. The two ladders are curved and cross the entire cage from front to back. The large perch can easily hold four budgies, and it has two spots to hold water and food bowls. The play hook is another nice feature of this cage, the hook will be a great location to hang your budgies favorite treats or toys. 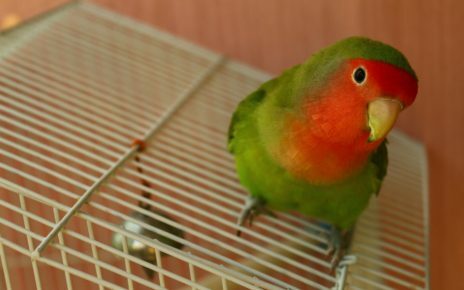 The A&E 24” X 22” Play Top Bird cage also comes with a very sturdy tray and removable seed guards. Another nice feature of this cage is the tray located on the top of the cage. When any birds are using the play top, this tray will keep any droppings from falling into the food and water bowls or onto other birds in the cage. And if you ever need to move the cage, the stand is very portable thanks to the built in casters.